Skin care is so important to me. It's literally my #1 priority. Whenever my skin is bad, I swear it's like an extreme downer. While some people would cover it with makeup, I go back to my skincare routine. 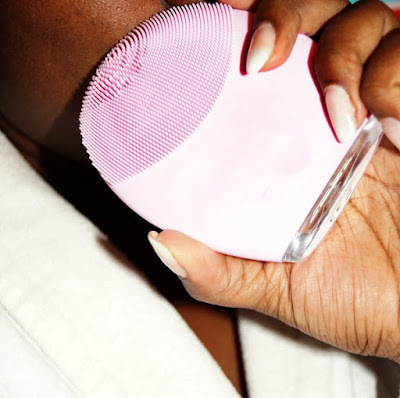 I've been eyeing the Foreo LUNA 2 ($229 CDN) for a long time. Where have you seen a silicone device that uses sonic power before? The revolutionary designed LUNA 2 is an enhanced T-Sonic™ face brush and anti-aging system that gives you a completely personalized cleansing. This device has actually changed my whole skin care routine. It's smooth, hygienic and powerful. It can put out 8,000 T-Sonic (transdermal sonic) pulsations per minute. Which sounds scary but it's very gentle. You never feel like your damaging your skin when you use it. Off topic: I once burned my skin with a brush device- so I really appreciate how delicate this product is. This dual-sided device on the other side is used for anti-aging and helps you absorb product into your skin. You can use the lower-frequency pulsations for this task. Within a week my skin of serums, hydration, water plus the foreo my skin was literally back to my teenage years. It was glowing! Apply your favourite skin care cleanser to your skin. Wet the device and click the button once to start the cleansing mode. Glide the cleansing surface(the "brush" side) in circular motions over your skin. This should last one minute. Rinse the product off and pat dry your face. Apply your serum and moisturizer. Double tap the device to the Anti-Aging mode. Press it into your wrinkle/fine line areas for one minute. 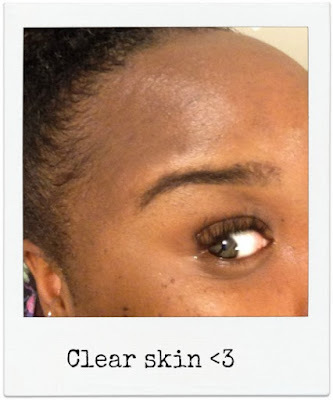 With product it glides over the skin effortlessly. Easiest way: All you need is soap and water. To dry, pat with a towel. Foreo also sells a Silicone Cleaning Spray which is also a great option. 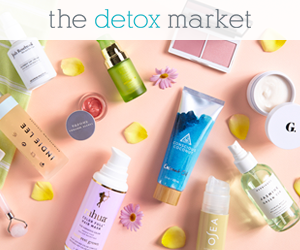 It's an investment for great skin. It also comes with a 2-Year Limited Warranty and 10-Year Quality Guarantee. Lastly one charge gives you 450 uses. 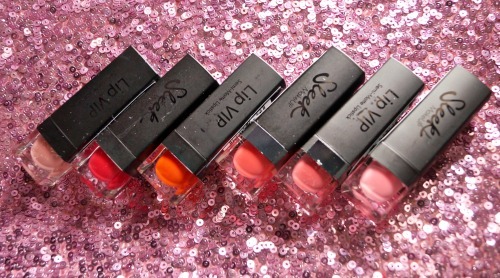 Summer is coming... Are you looking for a few bright lipsticks to add to your collection? 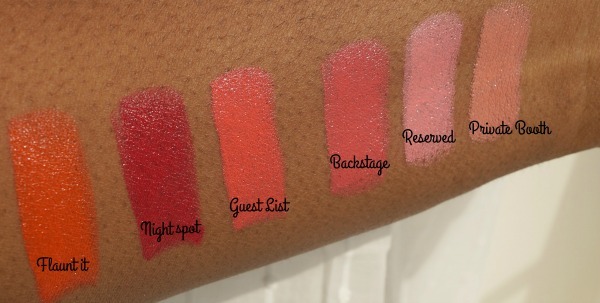 Sleek Makeup Lip VIP lipsticks ($8.49) might be with worth trying! These extremely pigmented babies pack on colour with the first swipe. Easy and streak-free. It actually feels pretty velvety on the lips. Creamy semi-matte lipstick finish that doesn't dry out your lips. Infused with Vitamin E, Shea Butter and Coconut oil. Personally, I'm not use to wearing bright colours like this which draw attention to my lips. But it was fun to play with them. If you asked me which colour would I work into my "every day" routine- it would definitely be Night Spot. This is a follow up of my popular Revlon ColorStay 2-in-1 Compact Makeup & Concealer (19.99 CAN) post I did in February. Let me do a quick rundown, in case you missed the original post. This 2-in-1 compact is all you need. Black plastic packaging- Foundation and concealer together with a tear-shaped sponge beneath, totally eliminating clutter. 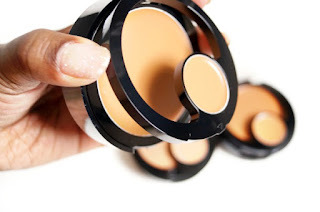 Perfect for me since I’m forever misplacing my concealer! I originally tried 400 Caramel which really wasn’t my tone. So I was given the colour 410 Cappuccino which is the deepest colour in the line. 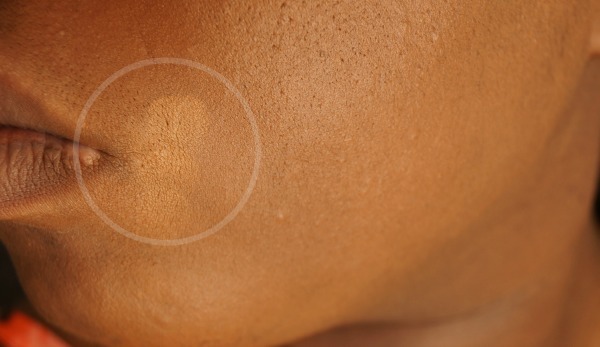 This is a medium-heavy coverage foundation with a satin-matte finish. Disclaimer- When wearing a matte finish. It’s important to have a really good skin regime. 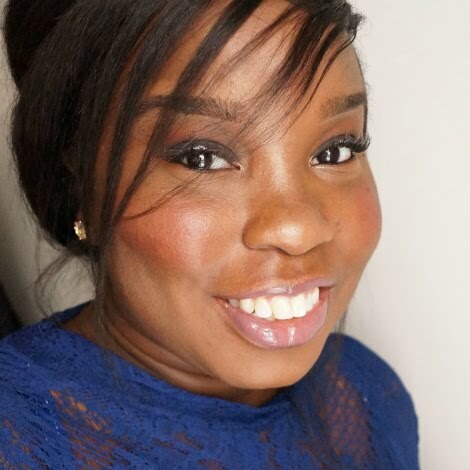 I’m talking about cleansing, exfoliating the dead skin off, toning and moisturizing. 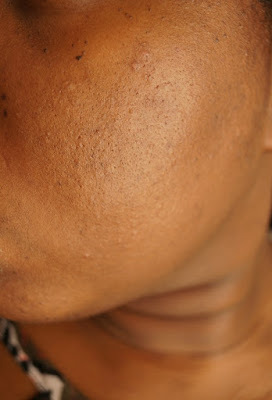 If you neglect this your foundation will not look its best. Always use your jaw, not the side of your arm or your hand. You may pick a foundation that looks amazing on your hand and when you get home and try it…completely off. As with other compact foundations, the colour in the compact may appear darker than it will on your skin so Revlon suggests using the smaller concealer shade as a reference point for proper shade matching in-store before you buy. Totally embarrassing but my skin has come a long way in the past few months; some slight discolouration on my cheeks, under my eyes and around my nose. 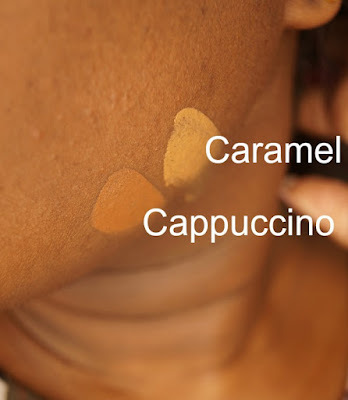 With one application of 410 Cappuccino, most of it is covered. Just a few areas that need extra attention. 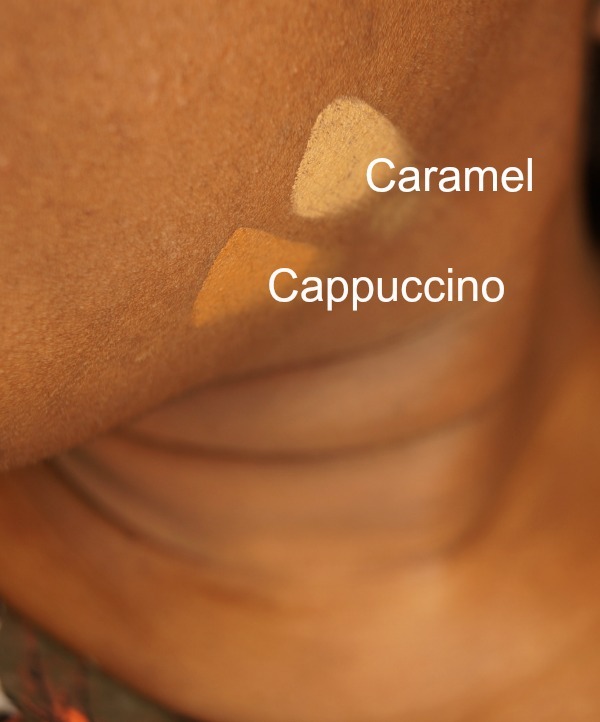 I added 410 Cappuccino concealer on top of the foundation (I put a circle on top to show you the colour difference). Depending on your preference, you can blend this out and be done with your look or add foundation on top for extra coverage. I would recommend using a sponge or fingers for this product. The product comes with a sponge—it’s under the second layer along with a hidden mirror, which is really handy. The consistency is very creamy and blendable. Not dry like most matte formulas. This is a foundation worth trying! There are 12 colours in the range to choose from. Let me know what you think below! This post was brought to you by Revlon but the images and opinions are my own.